Siddhartha Gautama is known by many names: Gautama Buddha, Shakyamuni Buddha, the Awakened One, and the Buddha. A man who lived over 2500 years ago, Siddhartha was a teacher who laid the foundation for many Buddhist students for centuries to come. Believed to be born in Northeast India, he taught across Eastern India, and his teachings eventually spread across the world. Because the Buddha lived so long ago, historical records are hard to find. Much of what we know about the Buddha’s life come from the Tipitaka, or the Pali Canon. These are the suttas, or scriptures, of the Buddhist tradition. As such, they contain legends, folk stories, and many other accounts which may not be historically accurate. 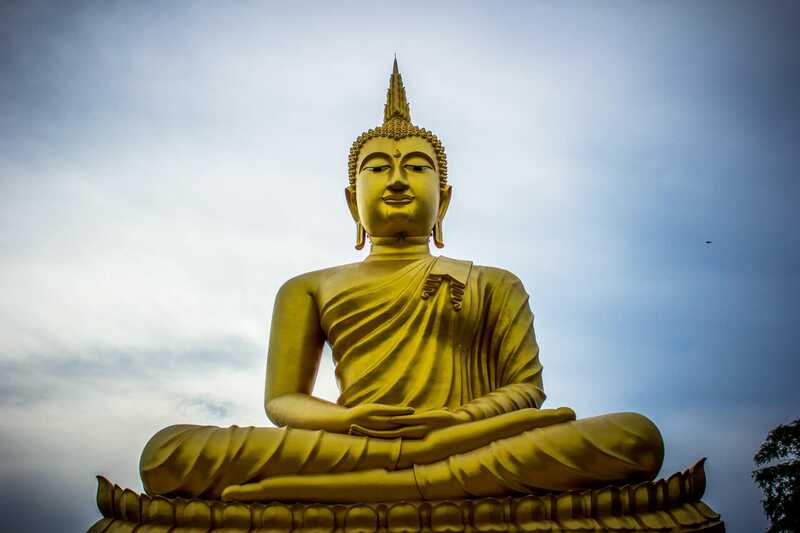 We have some resources at the bottom of this post to read more about historical bases for our understanding of Siddhartha’s life. Siddhartha Gautama was most likely born in Lumbini, a town in modern-day Nepal. Dates of the Buddha’s life are unclear. Many scholars agree he was born between 563 and 380 BCE. He was raised nearby, although it is unclear exactly where his family lived. They were a part of the Sakya clan, hence the common name Shakyamuni Buddha. His father, Suddhodana, was a raja. Rajas were aristocrats or elected officials, and differ from the maharaja in that he was not a king or ruler. Contrary to popular belief, the Buddha was most likely not a prince. His community (the Shakyas) did not have kings. They were a republic with elected officials. His father may be understood in modern terms as a congressperson or council member. Although he certainly lived a privileged life, most scholars agree that the stories of Siddhartha as a prince are elaborations from religious texts and hold no historical weight. His mother, Maya, was most likely a Koliyan princess. The Buddha’s birthday is celebrated in many Buddhist countries and cultures as Vesak. Maya, his mother, died either during birth or shortly after. The name “Siddhartha” means “one who achieves his goal.” He was mostly raised by his mother’s sister, Maha Pajapati. Growing up with relative wealth and security, he was shielded from religious and spiritual teachings of the time. The Shakya clan were warriors, not giving much attention to the plethora of spiritual teachings going on around that time and area. He was married to Yasodhara, his cousin, at age 16. He soon had a child named Rahula. Traditional accounts hold that the Buddha was discontented with his time in the “palace,” recognizing that material wealth was not a wholesome goal. This part of the Buddha’s story is a bit foggy, as much of our understanding comes from the suttas. Siddhartha’s father tried to shield him from the suffering of the world, but he went out on his own one day. Believed to be 29 years old, Gautama left his home with a charioteer to meet with others in his community. He came across what are now known as the Divine Messengers. He saw an old man, a sick man, and a decaying corpse. This was the time in which Siddhartha came into contact for the first time with the realities of old age, sickness, and death. He also saw an ascetic, or wandering spiritual man. He was immediately discontented by these sights, and set off to investigate religious and spiritual practices for himself. Just as there are many different types of Buddhism today, there were many different forms of meditation and spirituality then. The Buddha meditated with various teachers, including Alara Kalama and Udaka Ramaputta. With both teachers, he excelled quickly. Eventually, he was asked to succeed the teacher and lead the community. However, the Buddha did not feel fulfilled by these teachings and moved on. He investigated a strong ascetic practice, which was a popular method of spiritual growth at the time. Part of this practice was the belief that material pleasure was a hindrance to spiritual progress. As such, people starved themselves, carried nothing, and lived a life free of pleasure. However, the Buddha found for himself that this was not the most useful path to awakening. He discovered what we now call the Middle Way, or Middle Path. This is a path of moderation, steering clear of extremes. 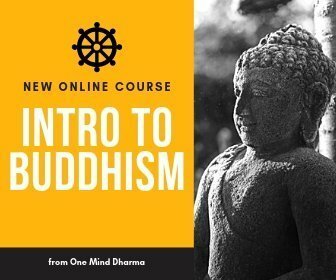 It’s become a foundational Buddhist teaching, and was one of the first teachings the Buddha discovered that has made its way into modern Buddhist teachings. While he was working to avoid self-indulgence, the Buddha came across Sujata. Sujata was a young girl from a local village, and was somewhat surprised to see the Buddha. He was so emaciated and starved that the girl believed him to be a spirit or god. At this time, the Buddha awoke to the Middle Way and realized this was not at all the path for him. He went to sit under a pipal tree, a type of fig. Known now as the Bodhi tree, Siddhartha Gautama sat here with the goal to remain until he had found some truth. His fellow wanderers abandoned him, and the Buddha sat alone. Tradition holds that the Buddha sat for 49 days, and that he was 35 years old. The suttas also suggest he was sitting in samatha, or concentration, practice. When Siddhartha had been sitting for some time, he awakened fully to the truth of reality. This awakening led to his name, the Buddha. 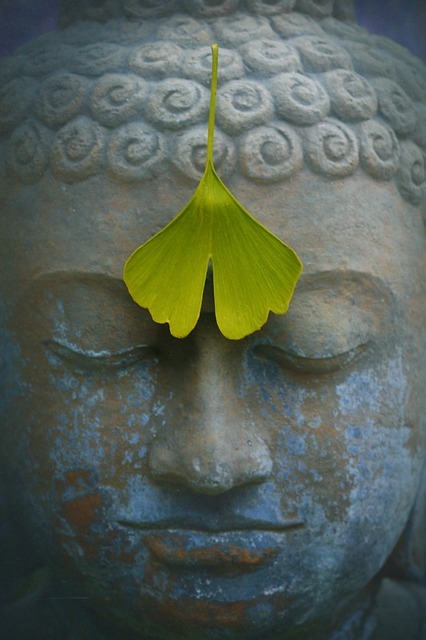 Buddha is Pali, and means “Awakened One.” Buddhist tradition states he awakened fully to the Four Noble Truths. This awakening is known as Nirvana, and is the full enlightenment of a human. It’s important to note that many scholars have found the emphasis on nirvana as a product of insight to be a later addition to the stories. The earlier accounts of Siddhartha Gautama’s awakening focus on jhana practice, or concentration meditation. Some modern teachers hold that it is through calming the mind and building concentration that we are able to see clearly. Others hold that Satipatthana, or mindfulness practice holds the key. Although the Awakened One did not want to teach at first, he was convinced by Brahma Sahampati to share his awakening. He settled in Deer Park near Varanasi, where he gave his first teaching. This is often referred to as the First Turning of the Wheel of the Dharma, and the Buddha gave his first discourse to five companions. You can read this sutta here. The Buddha laid out the Four Noble Truths and the Noble Eightfold Path. According to legend, all five followers became arahants, or fully awakened beings. Many scholars who have spent decades analyzing these texts suggest that this was not actually the Buddha’s first teaching, but a later one. However, this is the traditional viewpoint. Siddhartha Gautama, now known as the Buddha, traveled for many years offering teachings, or the dharma. He was mainly in Northeastern India and modern Nepal. He taught everyone from kings and warriors to servants and “criminals.” This was quite radical at the time, as much of the Indian subcontinent was in a caste system. As the Buddha taught everyone, he laid a foundation of welcoming to his teachings which many teachers try to continue today. The Buddha was reluctant to ordain women during his early years. He declined ordination of Maha Pajapati, his aunt and foster mother. However, she was persistent. She and a few friends followed the Buddha and the teachings of the lay community. His cousin and a primary disciple, Ananda, advocated for the formation of a female monastic order, and the Buddha agreed after five years. His reasoning is that people all had the same capacity for awakening, regardless of gender. However, nuns were given additional rules, or Vinaya, to follow. Like many other aspects of the Buddha’s life, stories of his death leave much confusion. The death of the Buddha is believed to have happened sometime between 483 and 380 BCE. Traditional accounts share that the Buddha knew he was dying and spoke of it before he passed. The Buddha died after eating a meal from a blacksmith named Cunda. Some believe it was pork, while others believe it was a truffle or type of mushroom. The word in Pali means “pig’s soft food,” and this has led to the confusion about the actual contents of the meal. The Buddha assured Cunda that the meal had nothing to do with his passing, and the Buddha laid down to die. 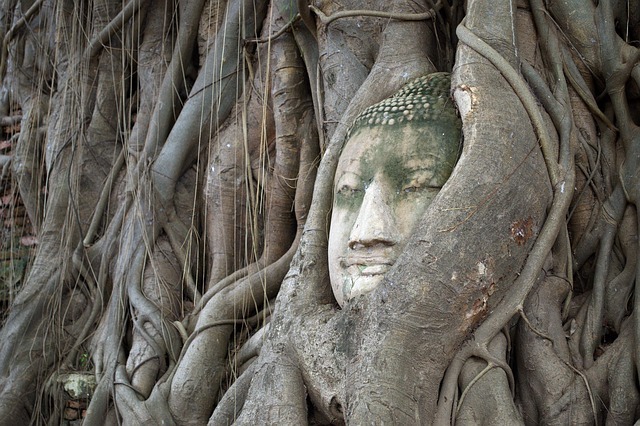 You can learn more about the years following the Buddha’s death and how Buddhism spread in our post on The Spread of Buddhism, and the Differences Between Theravada and Mahayana Buddhism. Please consider supporting One Mind Dharma by sharing this post via one of the buttons below!